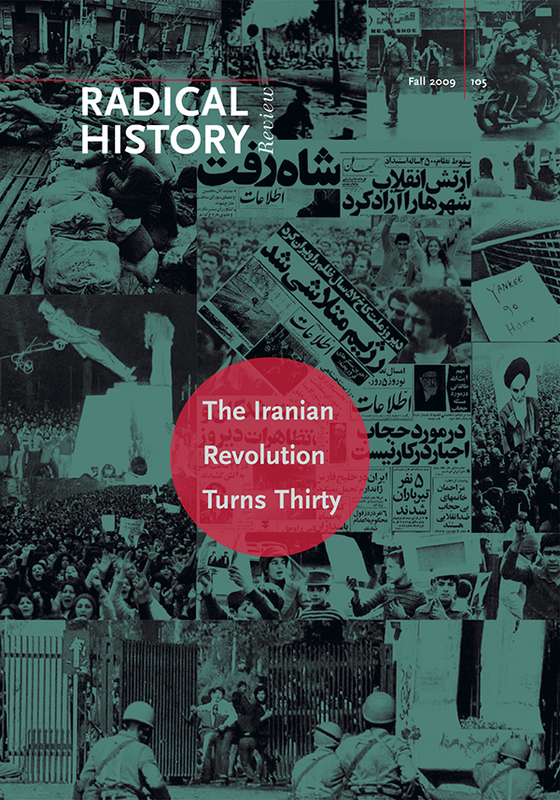 This special issue of Radical History Review marks the thirtieth anniversary of the Iranian revolution, an event that reverberated across the globe, causing rifts and realignments in international relations, as well as radical changes in Iranian political, social, and cultural institutions. The Iranian revolution of 1979 was a historical inevitability neither in its inception nor in its outcome; however, its continued domestic and global significance—often misunderstood and misinterpreted—remains indisputable. The issue explores the complex and evolving nature of the postrevolutionary dynamics in Iran and calls for renewed reflection on the roots of the revolution, the processes leading to its proponents’ victory, and its impact on the Muslim world and the global balance of power. The articles in this interdisciplinary issue take up the legacy of the revolution within and outside the borders of Iran and offer critical evaluation and new insights into the transformations that Iran experienced as a result of the revolution. One essay discusses the role of the crowd in the revolution, while another traces the genealogy of the discourse of anti-Zionism in Iranian circles. Other articles explore the treatment of the revolution in the Egyptian press and illustrate how the trauma of the revolution is portrayed in diasporic Iranian women’s biographies. The issue also features a “Reflections” section, which includes eight short essays that provide snapshots of postrevolutionary politics, economics, literature, cinema, and visual arts, demonstrating both radical changes and continuities in Iranian society.